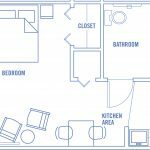 Today, we will take you through some interesting studio apartment floor plan ideas that you definitely would not want to skip. 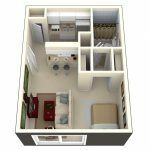 Dealing with small living places is absolutely challenging, so you may need some pointers when it comes to floor plans. 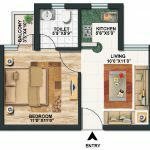 Having limited floor space does not mean you cannot establish a comfortable living place that feels like home. 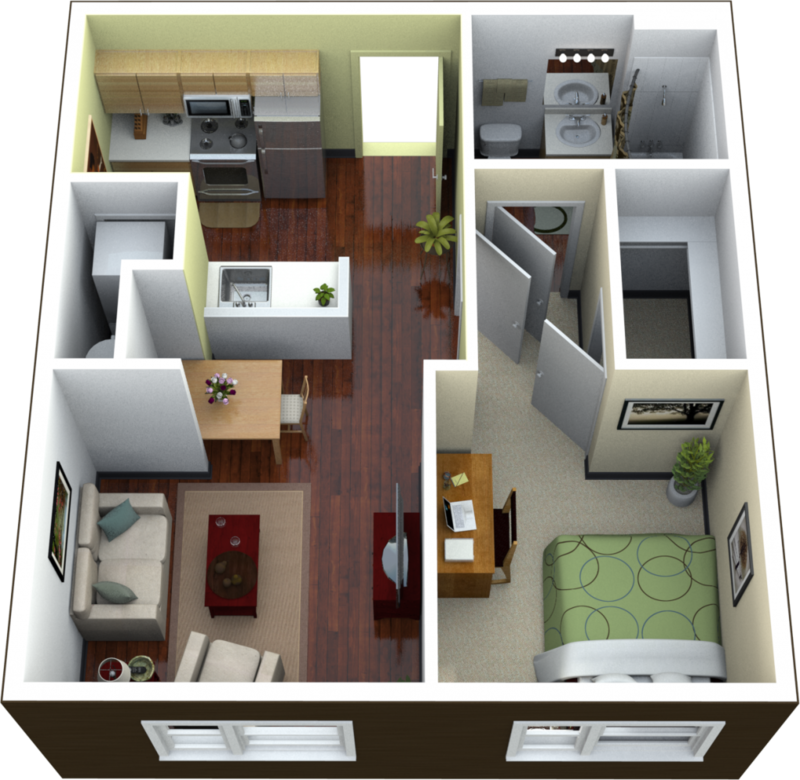 Well, without further ado, let’s check out these small studio apartment plans! 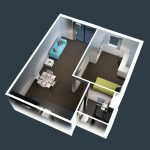 Considering that you have to overcome the limited space available first, sticking with a simple studio apartment floor plan layout is always a good idea. 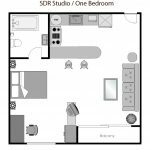 You can do this just by assigning two different zones in your studio apartment plans: a public one, such as living, kitchen, and dining area, and a private zone, that includes bedrooms and bathroom areas. 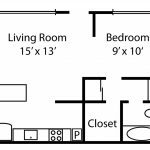 By doing this you can find it easier to divide both sections if you want to maintain the privacy without sacrificing on comfort. 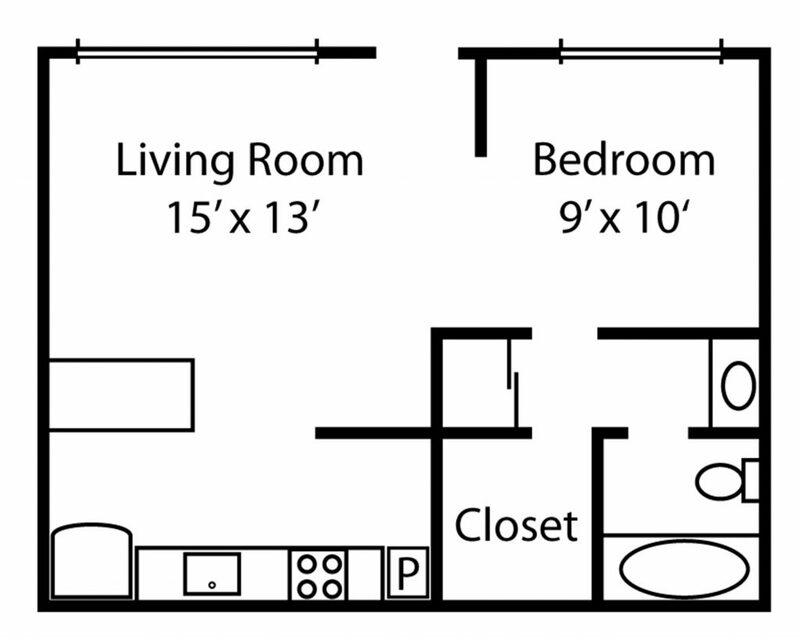 Even though you may prefer to have your bedroom visible from living room a proper floor plan is absolutely a must. 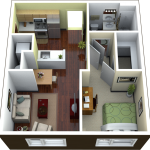 It will help you plan the apartment furniture arrangement better. 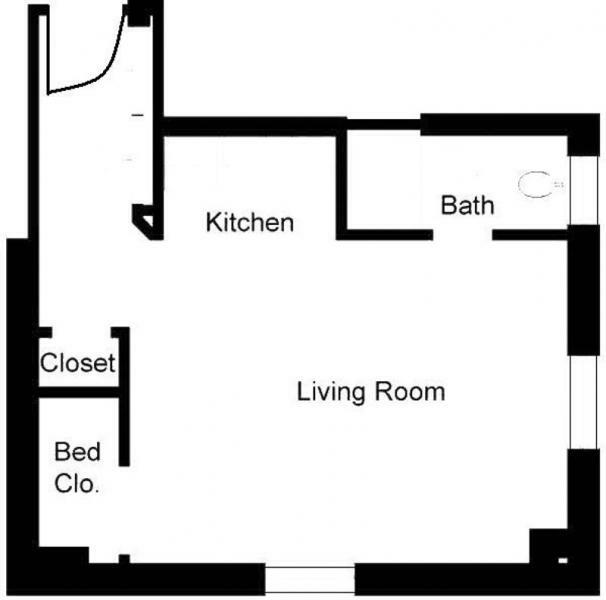 After all, remember you have to work with limited space and you surely would not want to end up having a cluttered apartment because you chose furniture items that are too large and bulky, right? 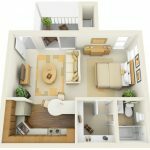 Furniture layout aside, you can also determine the right dimensions and amount of furniture necessary to provide the comfort and convenience in a home. Again, it is unquestionably challenging to work with a small living place. However, it doesn’t mean it’s impossible to make it work for you. 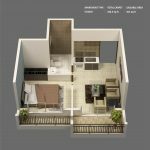 Luckily, you can now find many creative small studio apartment ideas to help you establishing a small but comfortable living place. 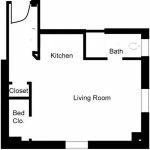 For instance, how about a studio apartment floor plan furniture layout with a sofa bed or loft bed rather than a conventional one?